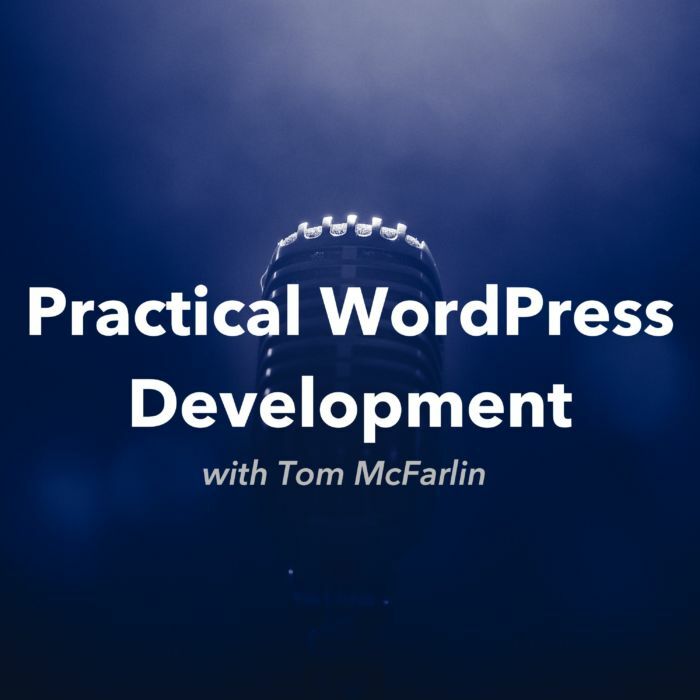 Practical WordPress Development Podcast I've officially started a Practical WordPress Development Podcast which is obviously a riff on the subtitle of this site. Got a Question, Comment, Critique or Something Else? Please be sure to use the form below. I read everything that hits the inbox and will do what I can to make sure I address whatever it is you share. Note: Be sure to let me know if you’d like to keep this information anonymous. Comments, questions, and general feedback for the podcast. Even if you opt not to submit anything (or have nothing to submit), please don’t hesitate to share it. And thank so much for listening (even if it was for part of one episode ). 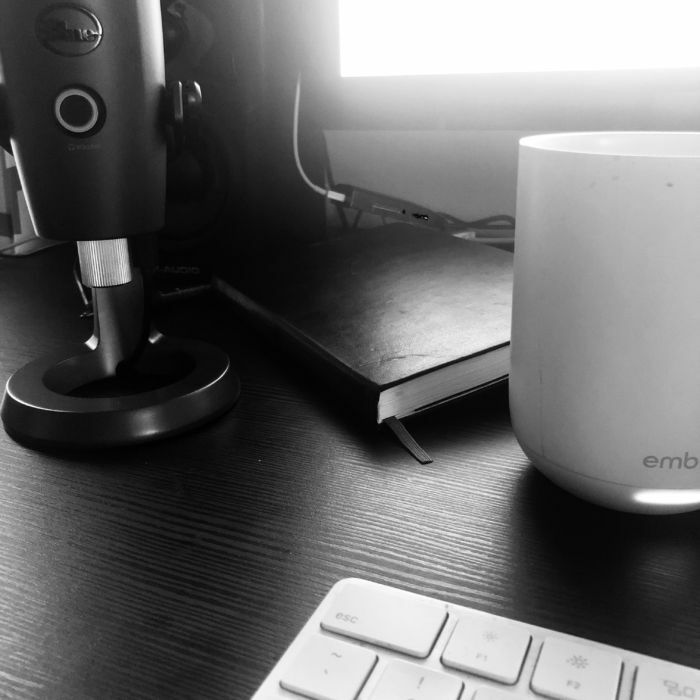 I’m a big fan of podcasts – those that tell stories, those that are focused on a specific niché, whatever – and a number of my friends have their own. I’ve wanted to start one for some time, but I didn’t know what it’d look like. Late last year, though, the idea of a short-form personal-and-question-and-answer podcast came to mind. So at the beginning of 2019, I shared a survey about what it might be like to have such a podcast. Generally speaking, the results were overwhelmingly positive, and I got some great feedback. 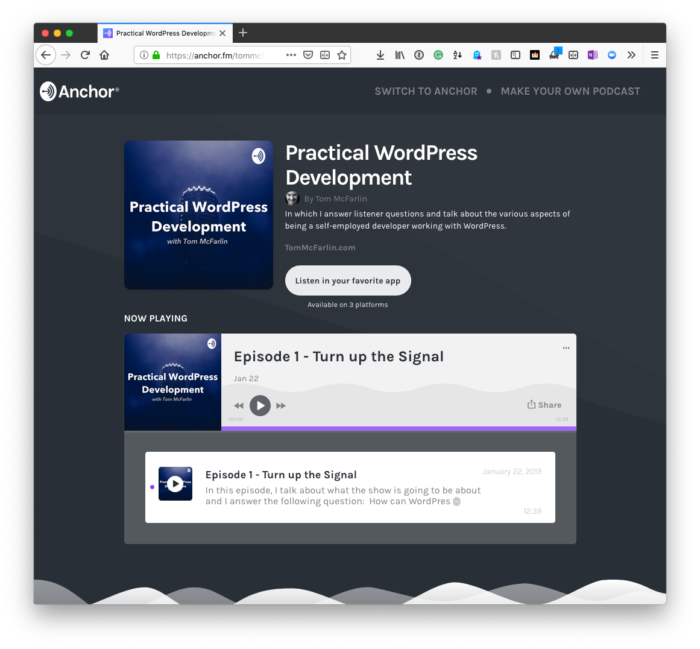 So I’ve officially started a Practical WordPress Development Podcast which is a riff on the subtitle of this site. If it’s not already, it will be available on all major podcasting broadcasting channels soon. If you’re interested in listening to it now, though, you can do so on Anchor. And if you’ve listened to all the way through, then you know that I’m looking for any feedback which is available using the form at the top of this page.